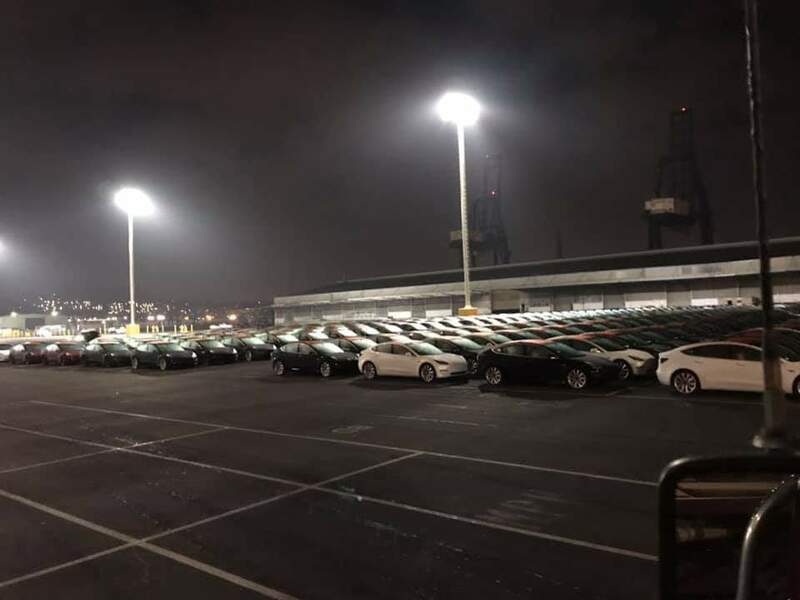 Port Of San Francisco is seen filled with a huge number of Tesla Model 3 electric vehicles ready to board the vessel for international deliveries either to Europe or China. Tesla is pushing the higher-end variants of the Model 3 i.e. Long Range All-Wheel Drive and Dual-Motor Performance towards the international market for creating maximum impact in the new year’s first quarter sales. 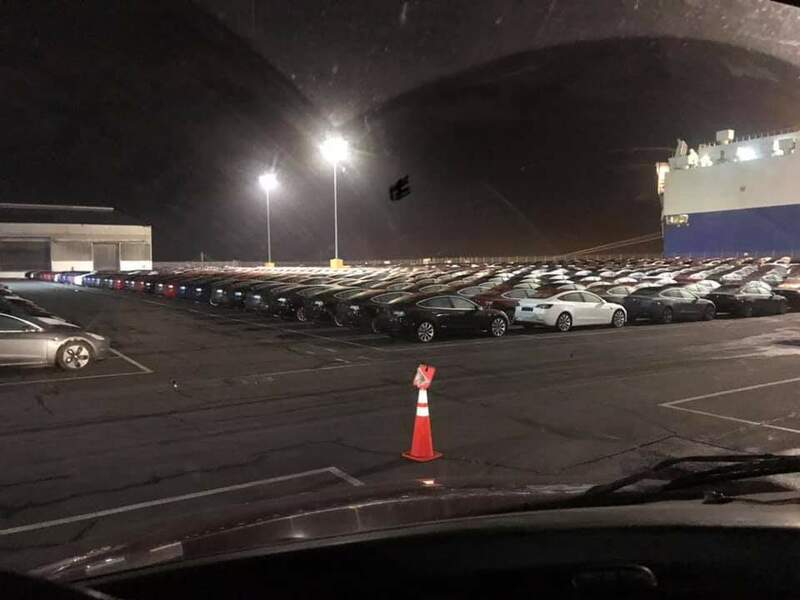 Photos of a massive number of Tesla Model 3s waiting to be shipped overseas surfaced online that suggest Tesla is now aggressively pushing the inventory towards international customers (pics below). Recently Tesla registered above 15,000 international VINs for their Tesla Model 3 compact luxury electric sedan while the Tesla Store in Shanghai already has a few Model 3s up for grabs. As we can see in the pictures above the Tesla Model 3 fleet waiting to get on-board the vehicle transport vessel should be in thousands not just hundreds of vehicles. Tracking the Glovis Captain vessel we can see that the ship is currently headed towards Panama, the rest of the route for the cars is unclear at the moment, we should be able to get an update in near future of the final destination as time passes. 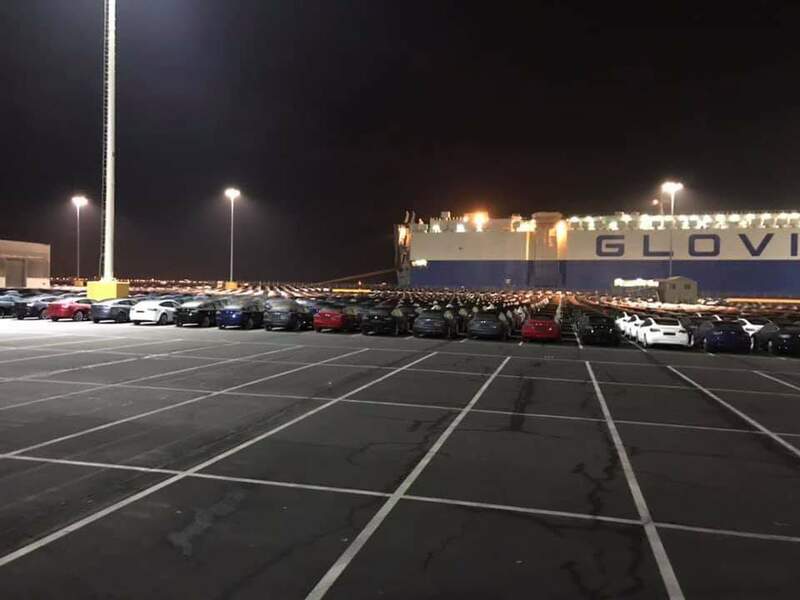 The Model 3 fleet aboard the Glovis Captain is going to reach Panama on 21st January, should take another few weeks to reach Europe as Tesla promised start of deliveries in Europe in February 2019. Chinese customers should also start getting the higher-end Model 3s in a couple of months and the most affordable version will be built in China after Gigafactory 3 goes functional this year, according to Elon Musk’s interview to Chinese media.